ACTTIVATION, 22 Feb 2013Those who cant activate in other country since this phone was made for USA you have to downloa... morewhat can i do to make my touch work? i actually love this phone, but i dont know how to get the touch part in the part of the world i lived in (west africa,nigeria). Tell me the procedu, i need you to ship it down. 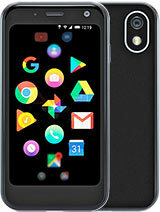 Those who cant activate in other country since this phone was made for USA you have to download a program from HP and it will let you activate via computer is really easy just check Google for Palm activation work around or something like that. The information is out there. You can also activate via wifi with some work around. Its online look for it the phone is really good. I love it big memory, ok camera its super cheap and good quality the only problem is activation in other country but its possible and its easy. I was bought the palm phone six months ago i was get a problem from my phone was not charged and not switch on and not work in soft touch. I do no the problem and iam far away. I was enjoyed with that mobile but for now it is out of order. i have a plam pixi plus phone but the touch is not workng. what can i do to fix this? plz help, 17 Sep 2012can u download whatts app on this phone..does it suuport WHATTS APP? ?No, it doesn't. Choose any other phone, it will work. But on this one it doesn't. can u download whatts app on this phone..does it suuport WHATTS APP? ?